Have you ever heard the term 'catch colt'? I'm sure you can figure out that it has something to do with horses. Allow me to explain. And to do so, I'll have to tell you a story. But first a little lesson in land surveying . . .
On the Stringam ranch, at its heyday, there was a lot of land. Two and a half townships. Pastures were measured off in sections. 640 acres. Sections were grouped into townships. 36 sections to a township. Well, the ranch covered two and a half of those. Not the largest ranch in Southern Alberta, but up there somewhere. You've probably heard the term 'wide open spaces'? An animal let loose in one of those pastures had a lot of ground to cover. And an endless selection of things to get into. Good. Or more frequently, bad. It wasn't unusual for a cowboy out checking the terrain to come across animals in dire need of assistance. Animals that had been attacked by cougars or wolves. Cut by barbed wire. Foundered in a mud pit. Even lamed by an altercation with something as innocuous as a gopher hole. In fact, with all the room out there for anything to happen, it's a wonder more 'anythings' didn't. Also. When animals are out on the range, hijinks occur. And that leads nicely into my story . . .
Our little herd of working mares and geldings (male horses with their 'male' bits removed) had been turned out to pasture. They lost no time in heading for the nearest far-away place. A few days later, those same horses were brought back into the ranch for their next work shift. They came in as they went out. In fact for several months, we so thought. 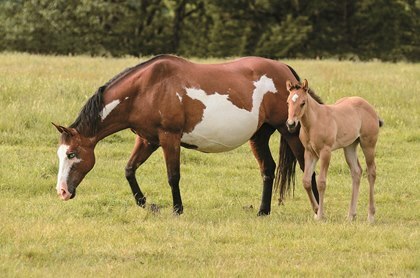 Then one of the mares began to show signs of grass-belly. I mean that girl could eat. Ten months later, she surprised us by proving her belly wasn't full of grass. Okay, I'm pretty sure that my dad, he of the veterinarian doctorate, figured it out long before I did. But for me, it was a grand surprise to see, next to our newly-lean mare, a fine little roan foal. A little girl whose parentage was very much in question. We didn't own a stallion. (Male horse with 'male' bits intact.) None of our neighbours ( I use this term lightly) owned a stallion. No wandering stallion had been reported in the district. Where did this little girl come from? Her attentive mother hid her secrets behind quiet dark eyes and a far-away look. I think it went something like this: Tall, dark stranger wanders into the campsite. Wows the ladies with stories of far-away lands and grand exploits. Invites the quiet one out for a stroll and enticing dip in the cool waters of the Milk River. Now you know where 'catch colts' come from. Labels: That's a large cabbage leaf! The Tsar’s best fish to eat at court? And gives an offer you can’t slight? The Codfather. Look out tonight! On Squid Row. In a burrow there! A fsh! Now that should not surprise. A nutella spread on salmon called? Labels: Lightening the mood. In salt and rhyme. Our youngest daughter and her family live with us. They have been saving for a house and it seemed a logical--and rather elegant--solution. We have enjoyed these days together, probably more so because we knew they wouldn’t last forever. But now the house-hunting has started. Now you have to realize that Youngest Daughter (hereinafter known as Mama) has been here since her first marriage crumbled. Her little girl (LG) was just past a year old and Mama needed the support as she went back to work. But now, with a wonderful new husband and a desire to ‘add to their family’ (whatever that means…) they are getting serious about finding a place of their own. There are certain things they would like in their new home. A garage is important so Mama can continue with her theatre carpentry at her own home. Things like a kitchen, living room, basement are a given. And this is where other members of their family make their wishes known. LG has some particular demands. For one, she wants the master bedroom to be big enough that her little bed can be parked beside her mother’s. None of this ‘separate rooms’ nonsense. Also, there must be a room for Grandma. Soooo . . . at least two bedrooms. Now we know what a real estate agent goes through. Labels: House hunting for toddlers. More holiday memories . 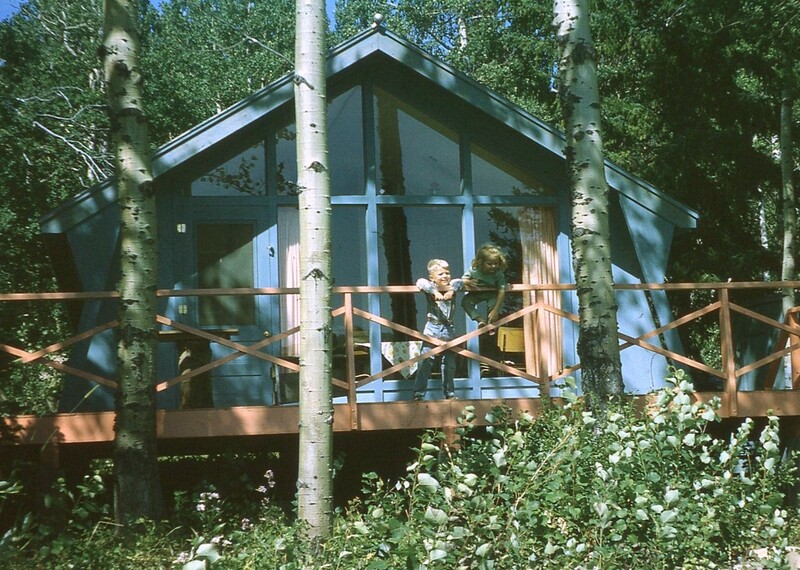 . .
Our family loved staying at our friends' cabin in Waterton Lakes Park. So much so that my Dad finally felt we should have our own. And the rest of us, picturing days happily spent on the lake, were very easily convinced. He scouted around for a nice piece of property. And finally found one on St. Mary Lake, just outside of Glacier National Park, Montana – across the border from the ranch. It was truly beautiful. Clear, icy-cold, blue water. And I do mean icy. Brrr. Pure air. Lots of trees. The only thing missing was the . . . cabin. No problem. Dad would build it. He chose a design and ordered materials which were duly delivered. Our cabin plans were almost abandoned before they even got off the ground. But, finally, Dad took a deep breath and ordered some more. They came. And this time, they stayed. He moved in a small travel trailer and we took up residence. Then began to prepare the land. It was hot, hard work - cutting down a few of the trees and tearing out brush. I know. Because I was watching carefully, can of black cherry pop in one hand and hot dog in the other. 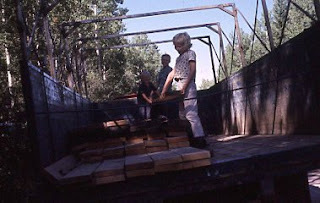 But before you begin to think I was entirely useless, I must point out that I helped carry some of the rocks over to the lake to help construct our boat dock. That's me in front. Hefting. 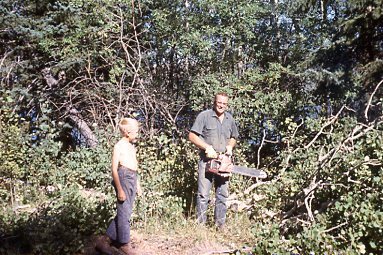 Before too long, Dad and my brothers had cleared a spot large enough for our cabin. I don't remember much of the building apart from the sounds of hammering and sawing and the wonderful smell of fresh-cut lumber. Ha! My baby sister didn't help at all. Mom kept me near her. Across the road from the action. My reputation for getting in the way was obviously well known. The cabin went up magically. In no time, we had a master bedroom where my oldest sister could sit and tell us scary stories. Two smaller bedrooms with built-in bunk beds for the smaller kids to fall out of. And a wonderful kitchen/dining/living room where Mom could make the food magic happen. Oh, and there was also a big, open fireplace . . . thing. I think that, technically, it was a wood stove. But it was screened on all sides. Wonderful for gathering around on a cool summer evening. Something my family excelled at. The cabin had huge windows facing the lake. And a large deck. Another favourite place where we could sit and watch the water. Something else I excelled at. We spent a few summers at the lake. I remember evenings on the deck, looking out over the water and just breathing in the glorious air. Splashing around in the frigid water. Icy cold cans of pop out of the lake. Games played beside a snapping fire. Hide and seek in the trees. 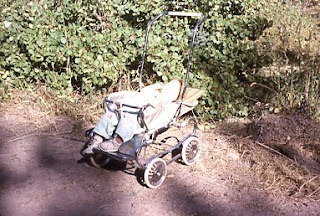 Several times, when we weren't in residence, the cabin was broken into and vandalized. The last time, someone smashed the large picture window, leaving blood everywhere. Dad replaced the window and promptly sold the cabin. Because it was wonderful way to spend the summer. A year or so after my Dad sold the cabin, a good friend of his stopped him on the street, shook a finger in his face and told him what a bad boy he was. My parents were well known for their tee-totalling habits. The man's mouth dropped open. 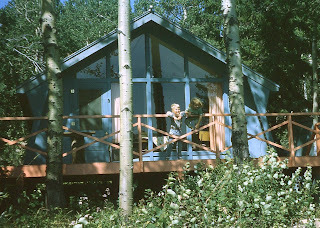 Even when it no longer belonged to us, the cabin continued to entertain. Squirrels on the deck of the Stringam cabin. Because the days of being able to walk (or drive) right to a campsite or cabin and find a place to stay are long gone, we are already arranging our summer holidays. This brings to mind holidays of the past. 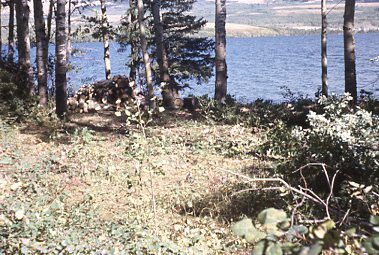 Every summer we spent at least a week there, staying in one of the tiny, rustic cabins perched on the very shore of Upper Waterton Lake or in the 'Madge' cabin, a beautiful old log cabin which belonged to some good friends. 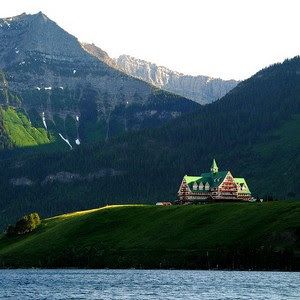 And the Prince of Wales Hotel still majestically dominating the townsite. Labels: What are your holiday memories? The evening meal was always special at the Stringam Ranch. Mom was a terrific cook so the food was always good. The conversation, with two parents, six kids and assorted hired men would be endless and, if not brilliant, at least entertaining. But one night, my brother forgot the new order of things. He asked my Dad for the butter and put out his hand to take it. 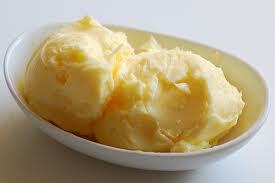 After that, no one went butter-dipping. I mean, who could top that?